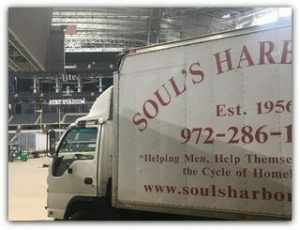 Last month, AT&T Stadium in Arlington hosted the National Football League DraftThrough our partnership with Eddie Deen catering, Soul’s Harbor was able to receive roughly 4,000 pounds of fluids, from Gatorade to bottled water, from the NFL. As you can see, one of our Soul’s Harbor box truck was on the ground floor of Jerry Jones’ AT&T Stadium to receive the donation. Thank you, NFL!!! 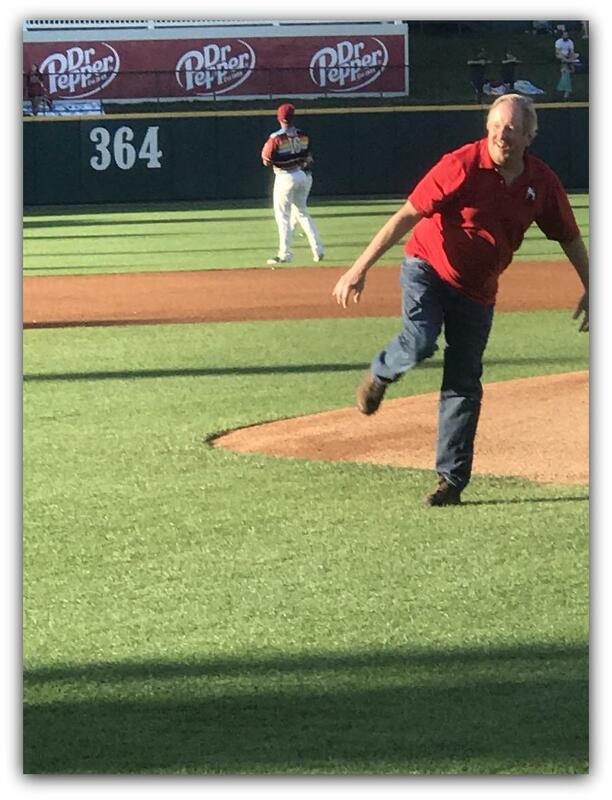 Yes, that is me, throwing out the ceremonial first pitch of the Frisco RoughRiders game against the Midland RockHounds. This is the second year in a row that Soul’s Harbor is a sponsor of the National Alliance on Mental Illness (NAMI) Dallas 5K Walk. NAMI Dallas is a grassroots family and consumer self-help organization dedicated to relieving the effects of severe mental illness known as biological brain diseases on individuals, family members, and society through support, education, advocacy, and research. 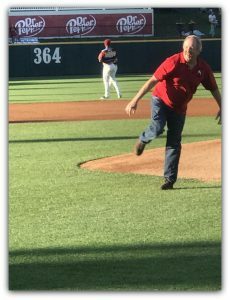 As a sponsor, we received 10 tickets for our residents along with the honor of throwing out the first pitch. FYI, I threw a slider that cut too soon but did manage to bounce across home plate. Thank you NAMI Dallas and Frisco RoughRiders for a great evening at the beautiful Frisco RoughRiders Ballpark. Thank you so much for your financial consideration. Note, your tax-deductible contributions may also be submitted through PayPal to gro.s1555901366allad1555901366robra1555901366hsluo1555901366s@eta1555901366nod1555901366. *Please note: Users of Internet Explorer 8 and above may experience difficulties with our PayPal “Donate” button. Please access PayPal directly to make a financial contribution to Soul’s Harbor, Inc. Thank you!